We love to eat almost as much as we love to travel. When we are not on the road, we like to explore different cuisines at home. Did I mention we are also book junkies? That love of books extends to cookbooks. Here is our curated family-friendly selection of the best cookbooks from 2017 from cuisines around the world including American, Spanish, Japanese cookbooks. We have also ventured further afield with African cookbooks with Ghaniaian food recipes and other West African dishes. They make great gifts for people who love to cook even if the cooking enthusiastic is yourself! These three cookbooks are great gift ideas for chefs who like food from the Americas. The variety is amazing – even in the USA! You can see how immigration to these countries shaped local tastebuds and worked with locally produced ingredients. America The Cookbook with its 800 recipes is a tome, no two ways about it. I tend to find large regional cookbooks overwhelming but I was drawn to this American cookbook because it had a lot of recipes I recognised from my childhood. I hit full nesting mode when I’m cooking comfort foods in my gorgeous new kitchen, and my dog sniffing around my feet hoping for the occasional scrap. It also reminded me of a modernised version of my beloved Fannie Farmer cookbook (the first cookbook I ever owned when I lived on my own). Even though updated in 1996, the Fannie Farmer cookbook is a bit old-fashioned and not very adventurous. Around since 1896, the Fannie Farmer cookbook is a stalwart for traditional recipes – the Pecan Pie I make from it every Thanksgiving is a firm friends and family favourite. I love that American the Cookbook goes into immigrant favourites that are part of the American culinary scene – like Polish pierogies and Kielbasa. (In the suburbs of New York, we lived near a lot of Polish neighbors). In fact, my mother has a dish where she wraps Kielbasa in Indian roti bread for my kids’ favourite dinner- Indian pig in a blanket. 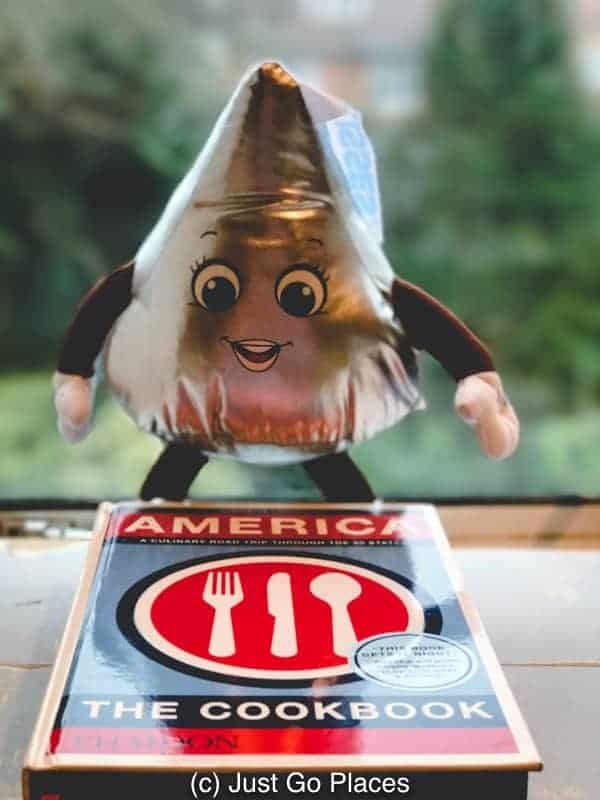 An American cookbook updated for the new millenium, America The Cookbook has generous tributes to the immigrant populations of each of the 50 states as well as old favourites like Meatloaf. For example, I want to try Sudanese Greens cooked with Peanut Butter in the section under Nebraska because that state is home to a large refugee community from Sudan. The Road to Mexico by Rick Stein traces British chef and restaurateur Stein’s journey from San Francisco to Tulum. But San Francisco is not in Mexico I hear you say. Well, it’s the road TO Mexico right? He’s retracing a road trip he did in 1968. This trip takes in everything from the farmer’s markets of California to the colourful bustle of Mexican street markets. You can catch the accompanying TV series from the BBC as well. The Road to Mexico is not for Mexican food purists (obviously). It’s an exploration of the food of California and Mexico with a curated collection of recipes punctuated with colorful great photos. Some of the recipes that jumped out at me are the Chicken Noodle Soup with Yellow Bean Sauce inspired by Stein’s visit to a San Francisco restaurant. You also have the original recipe for a Caesar Salad from a hotel in Tijuana, Mexico where the dish was created. Ceasar Cardini was an Italian immigrant to San Diego who also worked in a Tijuana hotel where he could avoid the restrictions of Prohibition in the USA. Into the mix, Stein throws in a good recipe for Green Chicken Pozole, one of the oldest dishes in Mexico with a recipe that existed before prehispanic times. 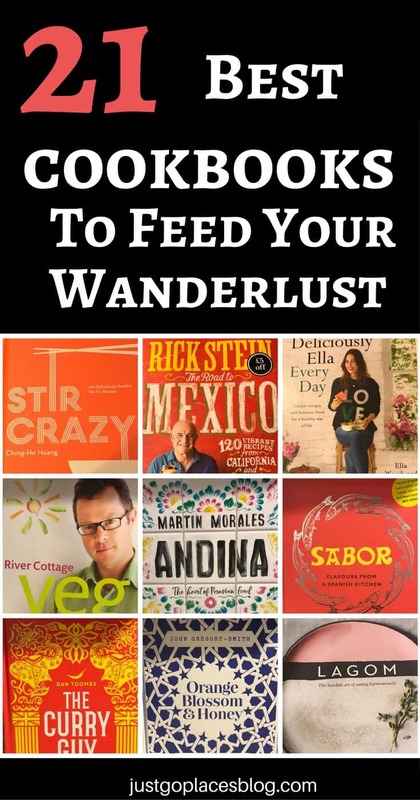 I love this book for being a great road trip book, full of anecdotes and recipes, for a part of the world that I love. The Pacific Coast Highway is one of the most travelled road trips in the world and so many people may appreciate what happens if you keep on driving a bit further past its end in Orange County onto Mexico. Andina: The Heart of Peruvian Food by Martin Morales is a Peruvian cookbook by famed London chef restaurateur Martin Morales who has several Peruvian restaurants in London. Andina and Ceviche are in trendy Shoreditch and another Ceviche and Casita Andina in SoHo. Peruvian food is trendy in London right now and we’ve been to several including one-Michelin starred Lima. Andina has a beautiful cover and photography throughout the book. I like that this Peruvian cookbook is devoted to the recipes of the “Andina” which means a woman from the Andes like Morales’ grandmother. You get both traditional recipes as well as new ones created by Morales and his restaurant teams. The recipes in this Peruvian cookbook could be hit or miss with my family but probably will appeal to a more trendy dinner party crowd with a more adventurous palate. For example, I would be perfectly happy serving the Quinoa Burgers or Prawn Chowder dishes. On the other hand, the beloved traditional Andean dish of Sheep/Cow Testicle Salad would be one way to make my near-Vegetarian daughter cry at the dinner table. I noted that trotters make an appearance, a cheap cut of meat, that is part of the farm-to-table, eat everything, nothing wasted trend. Carrying on with the theme of immigration and international influences, these 8 European cuisine cookbooks show how traditional food has evolved to suit modern palates. If you want to eat healthy on a regular basis, I recommend Deliciously Ella Everyday: Quick and Easy Recipes for Gluten-Free Snacks, Packed Lunches and Simple Snacks by Ella Woodward. Blogger and cookbook author, Woodward has an affinity towards all-natural recipes because of her own issues with chronic illness. I have a couple of dyed-in-the-woold meat-eaters in my family but we are slowly transitioning to more vegetarian eating. This vegetarian cookbook features simple recipes like Lentil and Aubergine Pasta, Honey and Mushroom Quinoa, Avocado Soup and Mushroom Stuffed Peppers. The ingredients can be a bit repetitive but these recipes are a good way to mix healthier options into your diet as a snack, starter or side dish. After all, if you aren’t entirely sure your family will go for something new, it’s best to not spend too much time creating the dish! The Curry Guy: Recreate over 100 of the Best British Indian Restaurant Recipes At Home, a curry cookbook by Dan Tombs is focussed on British Indian restaurant cooking. It’s a different beast from Indian cooking because people from India/Pakistan/Bangladesh came to Britain and adapted their culinary style for the British palate. For example, in order to create the numerous dishes that you get in a British Indian restaurant, the chefs would have a base sauce. They could change the base as needed in order to create a specific dish. You could have 10+ types of curries (tikka masala, bhuna, karahi, madras etc) and each of these could come in variations of vegetable, chicken, meat, or seafood. So that’s a whole lot of dishes made from one tiny kitchen! 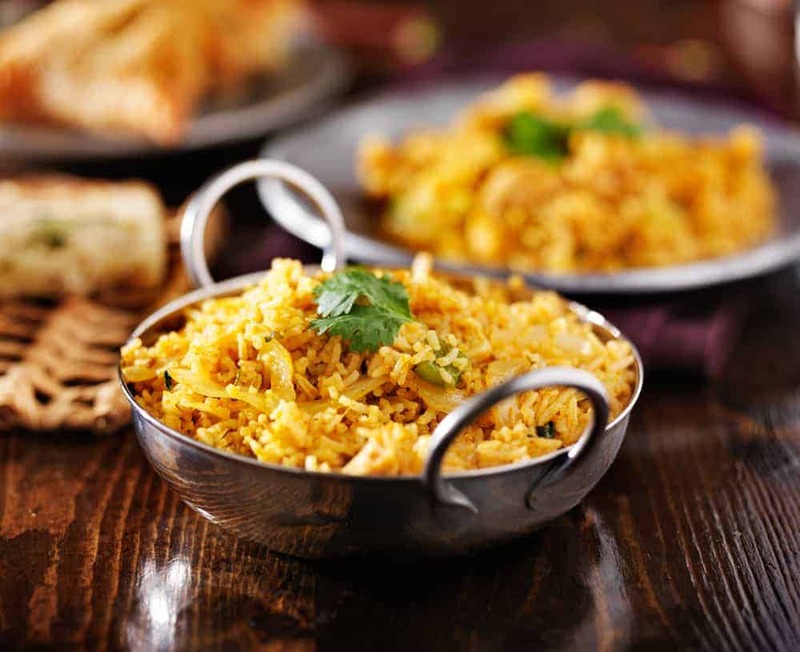 In addition, some dishes were created specifically for the British market including Chicken Tikka Masala and all of the Balti dishes which were invented in Birmingham. Balti dishes are based on a Pakistani one-pot cooking used to serve meals to large groups of people. I had never heard of Balti before I moved to Britain and now I know why! This curry recipe book is very family-friendly because you can adjust the spices to suit your family. At the beginning, Tombs details the base sauce – helpfully in different quantities in case you are cooking for a family meal or a small crowd. The recipes are all the standard ones you would expect to see in a British Indian restaurant including starters, mains (curries), and side dishes. By the way if you want traditional Indian food, I love Curry Easy by Madhur Jaffrey which came out in 2010. And, of course, this one sauce for a zillion different adapted recipes is not the way high-end British Indian restaurantshigh-end British Indian restaurants cook either – this type of curry satisfies the hankering for the takeaway Indian food market. River Cottage Much More Veg is the new vegetarian cookbook by Hugh Fearnley-Whittingstall of River Cottage fame which we were lucky enough to visit in Dorset in England. Fearnley-Whittingstall’s first vegetarian book, River Cottage Veg Every Day from 2011 is the UK’s best selling vegetarian cookbook. Not surprising because Veg Every Day has delicious accessible recipes such as Eggplant Parmigiana, Macaroni Peas with Parmesan and Honey Roasted Cherry Tomatoes. Let’s face it, anything with cheese added (or honey) is a winner. Along with The Moosewood Cookbook, River Cottage Veg Every Day is my go-to vegetarian cookbook. Both books, however, are pretty old in the cookbook world and I figured River Cottage Much More Veg would have new, cool recipes. In Much More Veg, Fearnley-Whittingstall is trying to recreate the magic of his first book but with a lot less cheese (boo!). Much More Veg is Fearnley-Whittingstall’s nod to veganism which I keep hearing is the new food trend for 2018. On the River Cottage website, you can check out some of the new recipes: Spice Sweet Potato Soup With Orange, Blitzed Kale with Lemon and Garlic and Vegan Gravy. My meat-loving husband takes umbrage at the concept of Vegan Gravy which is traditionally the sauce from the juices of cooked meat. Anyway, this cookbook may be a step too far in our household but useful if you have any vegan friends coming to dinner. Otherwise I would stick to Deliciously Ella personally. New French Table by Emily and Giselle Roux is a French cookbook by a mother-daughter team behind the famed Roux restaurants owned by their husband (and father) Michael Roux Jr. Did you know that French family cooking is actually approachable? I didn’t either. The recipes look approachable AND family-friendly. Many of the recipes also don’t seem particularly French (or what I think of as French). For example, this French cookbook has recipes for Meatloaf, Thai Noodle Salad With Seared Beef and Peanuts and Minestrone soup. There are also recipes for more traditional French stuff like Honey Madelines and Lamb Chops with Garlic and Mint Sauce. So maybe the New French Table is actually international? Just a thought. Lagom: The Swedish Art of Eating Harmoniously by Steffi Knowles Dellner is a beautiful book with a Scandinavian aesthetic sensibility. Is it wrong that I just want this Scandinavan cookbook to feature in my Instagram flatly?? Dellner is a Swedish food blogger/stylist living in London. Needless to say everything is presented beautifully. There is a mix of traditional recipes as well as more creative options. Lagom after all is loosely translated as “balance” or “just right”. According to the New Yorker, Lagom comes from a Viking phrase for community drinking – you took a sip of mead and passed it around so that everyone got some to drink. You can try before you buy because some of Dellner’s recipes are online – Breakfast Rolls with Sour Cherry and Vanilla Jam, Wholemeal Scone Muffins with Grapefruit and Pink Pepper Curd, Autumn Granola with Hazelnuts, Rye, Spelt and Dates. I feel healthy just typing that sentence. Healthy but not full. Maybe that’s why her blog is called Always So Hungry? 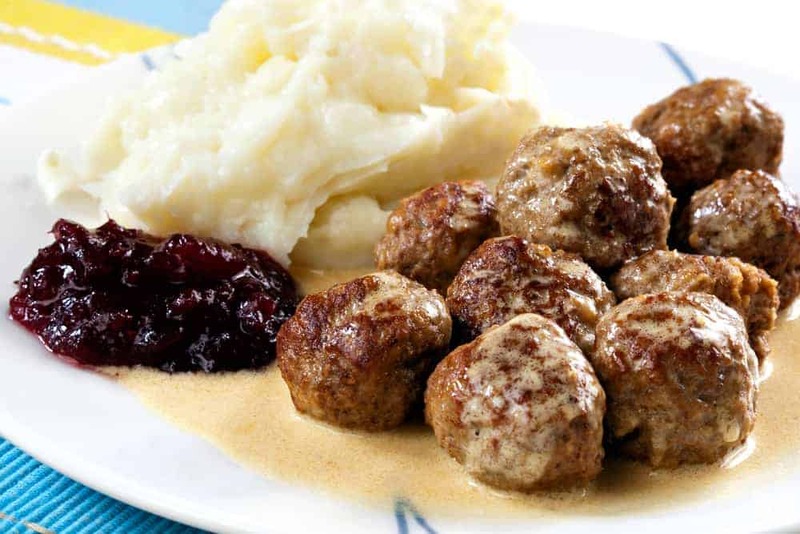 Don’t worry Dellner does have Scandinavian recipes that are not breakfast related including that old favourite introduced to the world by Ikea, Swedish meatballs. In the Spanish cookbook, Sabor: Flavours from a Spanish Kitchen by chef Nieves Barragan Mohacho highlights hearty food that she cooks at home for friends and family. Chef Barragan Mohaco has her own one-Michelin starred Spanish restaurant in Mayfairone-Michelin starred Spanish restaurant in Mayfair also called Sabor. A step up from the basic tapas dishes that our Spanish au pair used to make for us (which we loved), this Spanish cookbook has easyish recipes with a slight twist. I’m not sure they are family-friendly enough for my kids but they would be great for a dinner party. These recipes hit the holy grail of dinner party cooking – interesting, delicious and easy to make. The recipes include Stuffed Mussels, Braised Iberian Pork Ribs and Marinated Grilled Quail with Honey. Interesting enough to serve to friends but not so hard that you are cursing yourself for having picked too hard a recipe to cook before they show up. Did I mention that trotters make an appearance? Of course, they do. Made at Home: The Food I Cook For the People I Love is the third cookbook by Giorgio Locatelli, an Italian born chef with a Michelin-starred restaurant in London, Locanda Locatelli. Doesn’t the book title sound like he cooks different food for people he doesn’t love?Well its pretty apparent from this book that Locatelli brings out all the stops for the people he loves. He cooks at home a lot because his daughter has a lot of food allergies. This book has a lot of dense text with some recipes which I found daunting. Some of the more challenging recipes were Crepelle with Sausage Radicchio and Ricotta and Roast Pigeon with Lentils and Radicchio. Maybe it was the addition of radicchio? For those of us who like the the Jamie Oliver school of easy accessible cooking, I love that Locatelli does simple dishes four ways. For example, he has four ways to use a risotto base or four ways to make a spaghetti dish. These easy dishes are good but interesting family dinners as well as other ones like Beef Stew with Peas and Potatoes. In the middle ground, you have dishes you can impress friends with like Bourbonnera Sur Tout (a French influenced dish from Naples when the French/Spanish Bourbon kings ruled Naples and Sicily in the 18th and 18th centuries). You can check out some of his recipes from Made At Home available online – Leg of Lamb with Peppers and Mint, Green Bean Salad with Roasted Red Onions, Chilled Tomato Soup with Whipped Ricotta, Baked Whole Fish and Carrot Cake. Lisboeta: Recipes from Portugal’s City of Light by Nuno Mendes is a Portuguese cookbook focussing on the food of its newly-trendy capitol, Lisbon. Mendes is a Lisbon-born chef who has travelled the world working with some well-known experimental chefs before settling in London in 2006. As a chef, Mendes was awarded a Michelin star at his restaurant Viajares in London’s East End. He’s now the chef at trendy Chiltern Firehouse which any given night has paparazzi photos of celebrities stumbling out of it. 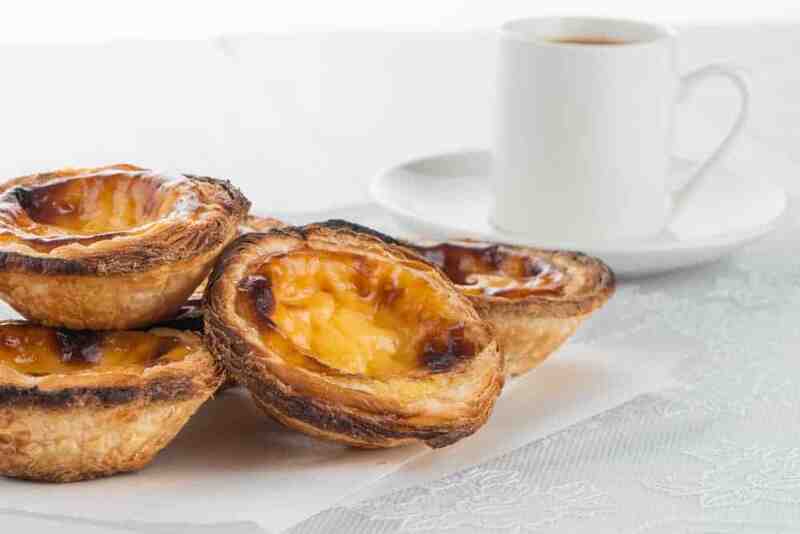 In addition to the recipes in Lisboeta, Mendez talks about his favourite places in Lisbon if you do visit the city. Although the recipes in this Portuguese cookbook is illustrated, I wish there were more photos. As you would expect there are quite a few salt cod recipes (e.g., Salt Cod Cakes, Salt Cod Fritters, Baked Salt Cod with Caramelised Onions and Potatoes). There are also lots of non-cod options though. My favourites are Tomato and Strawberry Salad and Black-Eyed Beans, Red Pepper and Apple Salad because I love salads that mix in an element of fruit. Ready to move beyond the usual hummus and pita bread? These five cookbooks from the Middle East and Africa will introduce your palate to new and different tastes. Feasts: Middle Eastern Food to Savour & Share is the third cookbook by Sabrina Ghayour on Middle Eastern food. Ghayour was born in Iran but travels to Asia frequently to find new flavour inspirations. Her Middle Easter cookbook has traditional recipes but with a twist. I would say these Middle Eastern recipes were all kid-friendly. I learned from my Egyptian friend that you can never just have a couple of dishes on a Middle Eastern table. 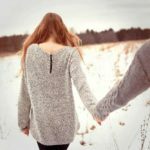 You need to provide choice and lots of it. As such, these Middle Eastern recipes are accessible creating simple but flavourful dishes. You can’t make a zillion dishes if they are all complicated!! My favourite recipes included Roasted Cod Loins, Quinoa Patties, Marinated Beef Kebabs and Orzo and Tomato Salad. You can check out the Pomegranate and Aubergine Salad with Harissa and Sun-Dried Tomatoes, Ultimate Chicken Shawarmas and Burrata Cheese and Burnt Oranges with Pistachios, Mint and Pomegranate which Ghayour has published as recipes online. I love anything by Israeli-British chef and restaurateur Yottam Ottolenghi and his new cookbook on desserts, Sweet: Desserts from London’s Ottolenghi, is no exception. We are regulars at the Islington location of his restaurant, Ottolenghi. Many of these recipes though are new and not from his restaurant (despite the cookbook’s title). This cookbook has over 100 recipes to delight your sweet tooth from tarts, biscuits, cakes to ice cream. Some of my favourites include Middle Eastern Millionaire’s Shortbread, and Orange and Honey Madelines. I love the section on mini-cakes (no, not cupcakes) – little cakes like the Strawberry and Vanilla Minicakes. Want to try it out? Here’s an online recipe for Lemon and Poppy Seed Cake. The Guardian has several recipes online from Sweet – including my favourite Middle Eastern Millionaire’s Shortbread, Rum and Raising Cake with Rum Caramel Icing, Coffee and Walnut Financiers and Hot Chocolate and Lime Puddings. Orange Blossom & Honey: Magical Moroccan Recipes from the Souks to the Sahara by John Gregory Smith is beautifully photographed. Unlike a lot of ‘serious’ cookbooks, there’s even a section on street food with options like Harissa Beef Msemen (a beef filled buttery pancake) that looks delicious. When we visited Morocco, we had a whole lot of tagine. We had so much tagine that the kids thought all Moroccan cuisine consisted of tagine. There is a whole section on tagine in Orange Blossom & Honey but there’s also a lot of other recipes, such as for example Chicken and Date Pilaf and Royal Lamb (a lamb stew). These recipes are interesting and yet are not too far off the beaten path for a family meal. The Ghanian food recipes in Zoe’s Ghana Kitchen by Zoe Adjonyoh is inspired by her Ghanian-Irish background and her restaurant in the Brixton area of London. I’ve not been to the Zoe’s Ghana Kitchen restaurant but my interest in Ghanian food recipes was sparked by a small Ghanian restaurant located conveniently next door to my gym. I sometimes go to the gym just so I can justify passing by the Ghanian restaurant. Sad I know. My favourite dish is the chicken and peanut stew which I love but is so spicy it brings a tear to my eye. This African cookbook of Ghanian food recipes has been remixed for the modern kitchen so that it’s easy to make using supermarket ingredients. Many of the recipes are traditional but some of them are Zoe’s own creations. I loved the cover for the cookbook which is a pretty orange and green. Starting with a guide to ingredients and regional food variations, this African cookbook is also user friendly. There is even a section on commonly used spice rubs that you can make ahead of time. As for the recipes, be forewarned there is a whole lot of yam used. I liked the recipes such as Avocado, Papaya and Ginger Salad, Red Snapper and Yam Croquettes, Corned Beef Stew and Smoked Fish Stew. The latter used 3 (?!?) scotch bonnet chillies so it’s definitely on the spicy side. We got a taste of scotch bonnet in Jamaica and I can definitively say we are too wussy for that chilli pepper! My family would like these dishes but I would need to dial down the heat for them. 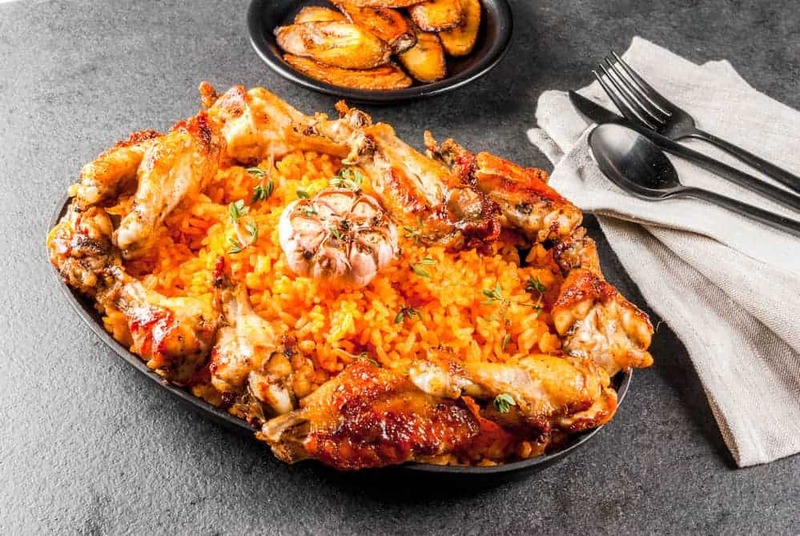 If you want to try some of Zoe’s Ghanian food recipes before you go all in for the book, check out the recipes for Zoe’s Ghana Salad and her Jollof Fried Chicken available online. Hibiscus: Discover Fresh Flavours from West Africa is a first cookbook by Lope Ariyo, a young British-Nigerian food blogger and chef who won a contest for African cooking while still at university. This African cookbook is once again a fusion of British and African food. And, yes, these dishes are made for spice lovers! The West African recipes are accessible even if I had to read on what some of the ingredients were. For example, when Ariyo mentions that Garri is cassava breadcrumb I had to go look up what cassava is! For the author, Hibiscus is the taste of West Africa but she readily admits that hibiscus flavour itself isn’t used much in Nigerian cooking. Ariyo has plans to change that! She feels Nigerians are precious about their traditional recipes but she has leeway to make changes because she’s British. She has a recipe for Hibiscus Chicken which looks amazing as well as Nigerian Roasted Vegetables with yams and okra. These two dishes together would be a cool ethnic twist to the traditional British sunday roasted chicken and vegetables. Here is the recipe for Hibiscus Chicken if you want to try it out. Other West African dishes that caught my eye include Bell Pepper Soup, Garri Calamari Rings and Seared Scallops in Grapefruit Sauce. I thought the latter would be perfect for a cool dinner party. 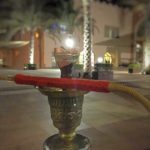 Check out the Hibiscus recipes online if you want to try before you buy – Hibiscus and Sumac Prawns, Okra and Mango Salad, and Hibiscus Drizzle Puff Puff. These five cookbooks explore some Asian cuisine. I’m guilty of sticking mainly to Western dishes but my kids have loved some of my Asian-inspired menu choices. My kids drive my stir crazy and I make them Stir fry. In fact I made the same stir fries so often, my son developed an “allergy” to stir fry where his stomach hurt if he saw it on his plate. Hence my need for Stir Crazy: 100 Deliciously Healthy Stir Fry Recipes by Ching He Huang. I like that Ching goes into the nuance of stir fry. You don’t just bung things into a wok. It helps if you have the right wok (she recommends the one she designed obviously). And there is an order to which ingredients go in first. 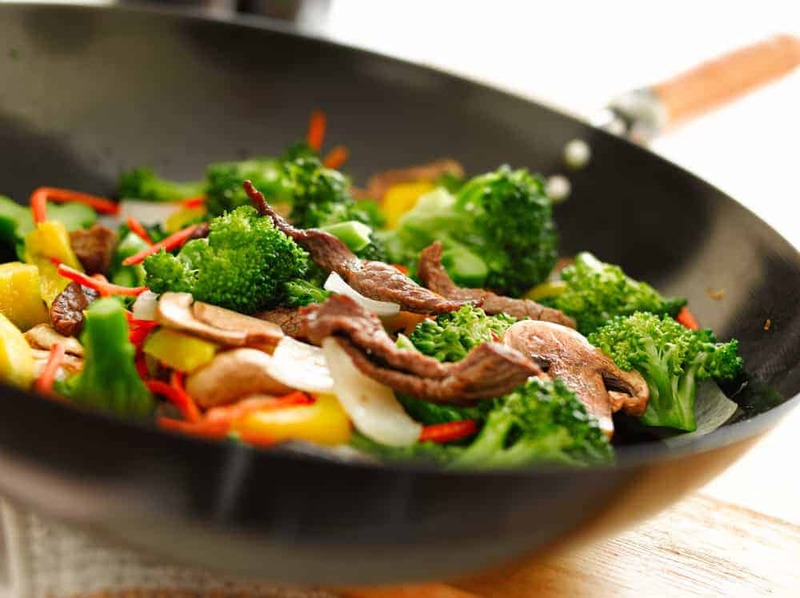 Mastering the basic technique will go a long way to upping your stir fry game. The stir fries in Stir Crazy is a good combination of Asian and Western ingredients. The recipes are mostly Chinese. I like that there are lots of good photos. Ching has good ideas for using tofu too which I do find fairly uninspiring without the addition of a good sauce. Unlike my usual stir fry, there are some good recipes that you could make for adult friends too such as Chicken and Green Beans in Spicy Garlic Sauce or the Aubergines in a Spicy Stir Fry Sauce. Tokyo Cult Recipes by Maori Murota is a Japanese cookbook that promises to bring the taste of Tokyo to your home. This Japanese cookbook takes you through the day of a typical Tokyoite with sections of recipes for each meal. And there are a lot of meals! Tokyo people seem to eat a lot but in little meals and frequently. You start with breakfast, then move onto lunch, then bento boxes, then snacks, an after work pit stop at an Izakaya for a drink and light bites, and then home for some home cooking. These Japanese recipes are fairly authentic with limited fusion influences! I think they would be hit or miss with my family. Recipes include Rice with Green Tea and Salmon, Chicken Meatballs, Mackerel Simmered in Miso, Japanese Stuffed Cabbage and Home Made Sushi Rolls. JapanEasy: Classic and Modern Japanese Recipes to (Actually) Cook at Home is by Tim Anderson, an American with a Japanese restaurant in the Brixton area of London. He’s also won British MasterChef. This Japanese cookbook works to demystify Japanese food. According to Anderson, all you need to make simple but good Japanese food are 7 basic ingredients. With this backbone, the recipes are easily accessible and delicious. I found the coobook’s difficulty score amusing – you get scores like “very not difficult”. The Japanese recipes are family-friendly in my opinion, such as, for example, Bacon Wrapped Asparagus, Fried Chicken, Soy Braised Turkey Mince Rice, and Ramen with Scallops, Bacon and Eggs. You can find three of the JapanEasy recipes online if you want to check some fo the dishes out – Sweet Miso-Glazed Aubergine, Salmon Tataki with Ponzu and Green Chillies and Chahan Fried Rice. Cook Thai: 100 Delicious Modern Recipes by Sebby Holmes, a London Chef who has his own restaurant, Farang. His dishes have also appeared at the popular food festivals, Taste of London and Street Feast London of which we are big fans. 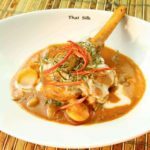 This Thai cookbook is an eclectic mix of both traditional and fusion recipes running the gamut from appetisers to main courses and stir fries such as Braised Beef in Coconut, Grilled Whole Seabass with Coconut Chilli Jam and the usual green/red curries. Pho Cookbook: Easy to Adventurous Recipes for Vietnam’s Favourite Soup is by Vietnamese-American, Andrea Quynhgiao. This Vietnamese cookbook starts with a history of this classic meaty noodle broth as well as a comprehensive guide to everything to you need to make pho. Why a book on just pho? It is a popular street food dish in Hanoi and as Vietnamese as you can get. Yes, it is just one dish but I can attest that I have friends who are obsessed with pho. So this Vietnamese cookbook is very niche! 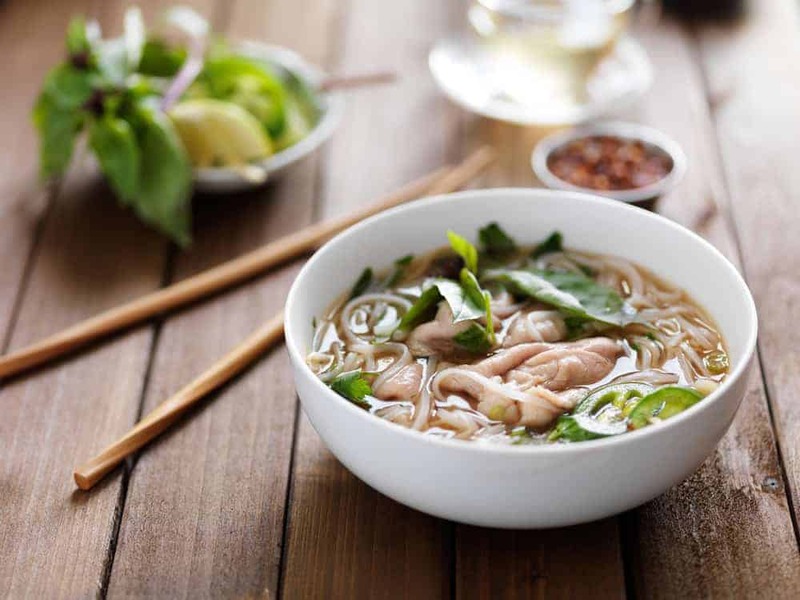 Among the 50+ recipes, you get both traditional pho dishes as well as vegetarian and vegan options. In addition, this Vietnamese cookbook goes into side dishes and other Vietnamese accompaniments (like Coffee!). 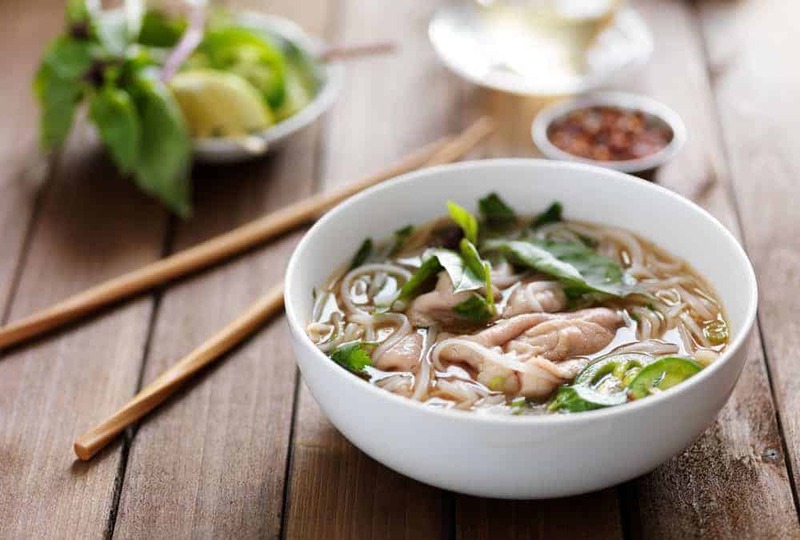 Check out the recipes online for a couple of Quynhgiao’s pho dishes – Quick Chicken Pho and Pressure Cooker Beef Pho. If you love cookbooks, you might want to check out the UK/Australian site Cooked which is a membership site for cookbooks. This site puts selective entire cookbooks online. It’s got a free trial period too before you commit to the membership. On this list of Best Cookbooks 2017, you can find Andina, Lisboeta, JapanEasy, and The Curry Guy. 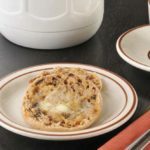 If you are a cookbook addict like me, this website is a great resource for different recipes to try out without committing to the whole book. Wot not Russian cookbooks? I am working my way up to replenishing my stock of books I left behind when we moved countries with ones written in this country – they tend to be better at writing about things you can actually buy. I had a great Mexican cookbook, for example, except that it was forever mentioning ingredients, especially the more ‘pre made’ ones, that were very USA specific, and I ended up having to go and find recipes to recreate those bits from scratch. Love the idea of the British curry book, therefore. I wodner if it is too late to order that for my brother for Xmas? Ah well, he has birthdays, too! Personally, I;d totally go for the pho book. I make one type of pho – it’d be good to branch out a bit! hmmmm… I haven’t seen any modern Russian cookbooks – maybe there is a gap in the market for you?? 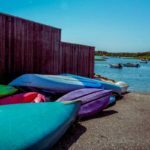 Have you published any list for 2018? Not yet. A lot of the cookbooks come in a flurry at the end of the year in time for holiday gift giving.